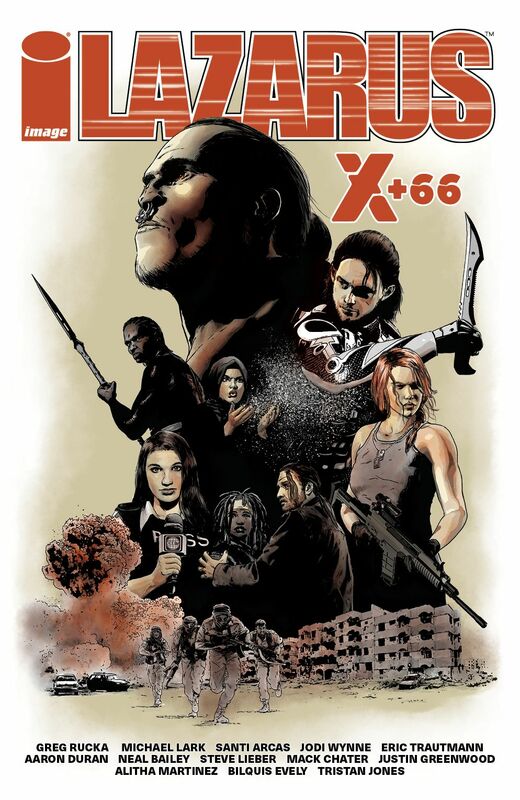 First up is LAZARUS: X+66, which collects six separate stories with characters old and new, taking place directly after the events of the Cull. Series writer Greg Rucka and series designer Eric Trautmann, as well as Aaron Duran and Neal Bailey, split the writing duties, with art provided by Steve Lieber, Mack Chater, Justin Greenwood, Alitha Martinez, Bilquis Evely, and Tristan Jones. 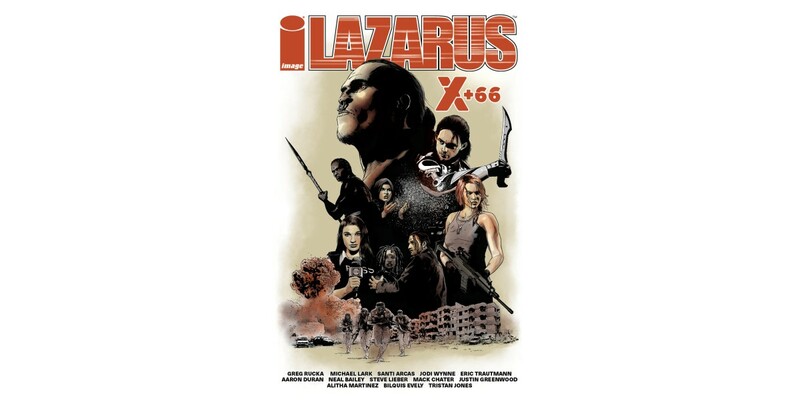 LAZARUS: X+66 (Diamond code: DEC170719, ISBN: 978-1-5343-0488-8) hits comic book shops Wednesday, April 11th and bookstores Tuesday, April 17th. It’s available for preorder now via Amazon, Barnes & Noble, Indiebound, Indigo, and Books-A-Million. 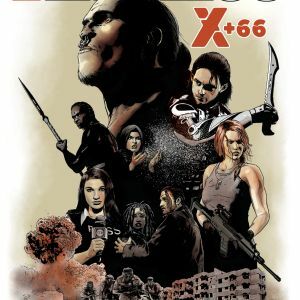 Next is LAZARUS #27: “Fracture: Prelude, Part One,” which sets the stage for X+67 and beyond—and the coming Fracture—by revealing what happened to Jonah Carlyle after his execution was stayed by his sister Forever. 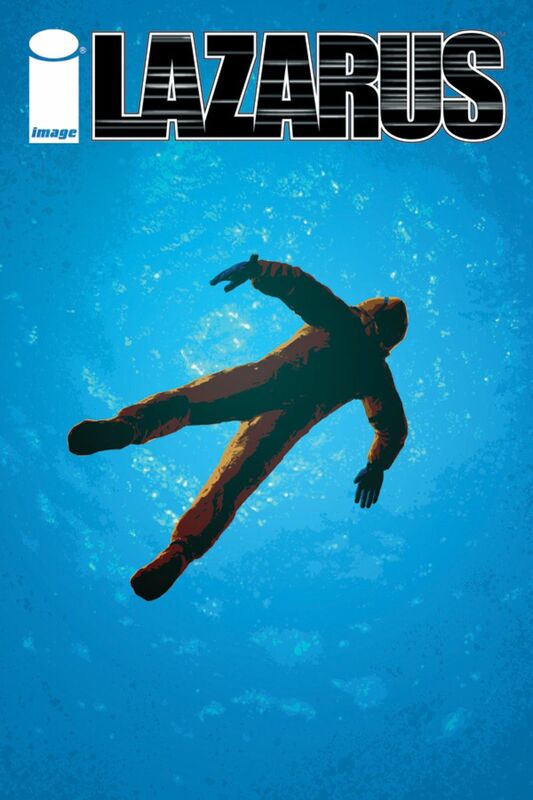 LAZARUS #27 (Diamond code: FEB180646) will be available in comic book shops Wednesday, April 18th. The final order cutoff deadline for comics retailers is Monday, March 26th. 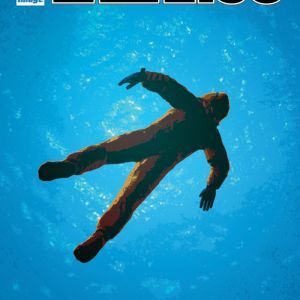 And finally, LAZARUS: SOURCEBOOK COLLECTION, VOL. 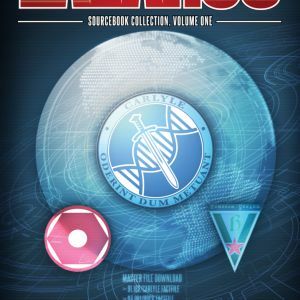 1 collects the first three LAZARUS SOURCEBOOKS—covering the lands ruled by Carlyle, Hock, and Vassalovka—as well as revised and expanded content to reflect the most recent developments in the series. Greg Rucka, Neal Bailey, David Brothers, Robert Mackenzie, Gareth-Michael Skarka, Dave Walker, and Eric Trautmann provide story content, with art and photography handled by Michael Lark and Owen Freeman. Packed with series-enriching maps, essays, and other informational tidbits, the Sourcebooks are essential for the discerning reader. 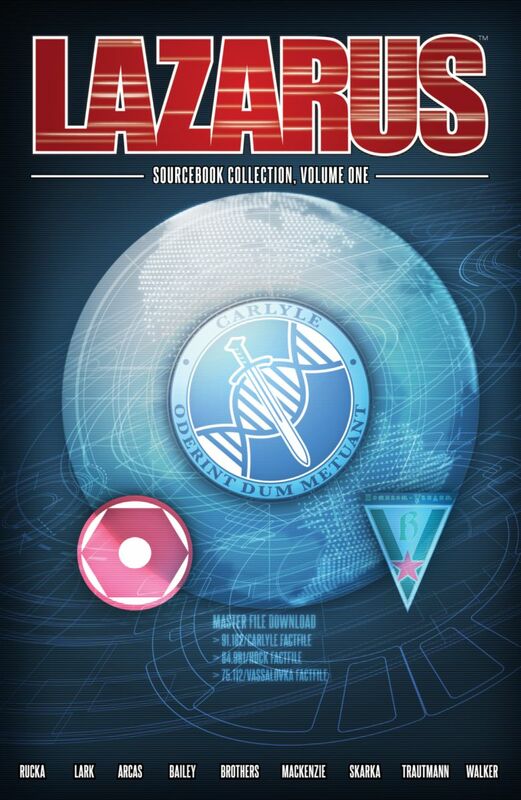 LAZARUS: SOURCEBOOK COLLECTION, VOL. 1 (Diamond code: FEB180583, ISBN: 978-1-5343-0515-1) arrives in comic book shops Wednesday, April 25th and bookstores Tuesday, May 1st. It’s available for preorder now via Amazon, Barnes & Noble, Indiebound, Indigo, and Books-A-Million.